Scan Copyright © Jon Williamson on Flickr. All rights reserved. Posted in 1940s, Retro/VintageTagged Americana, cartoon, history, illustration, propaganda, World War IIBookmark the permalink. I am so glad I found and posted something that has a personal connection for you! I have looked though my collection and, unfortunately, I do not have any more of William’s work. 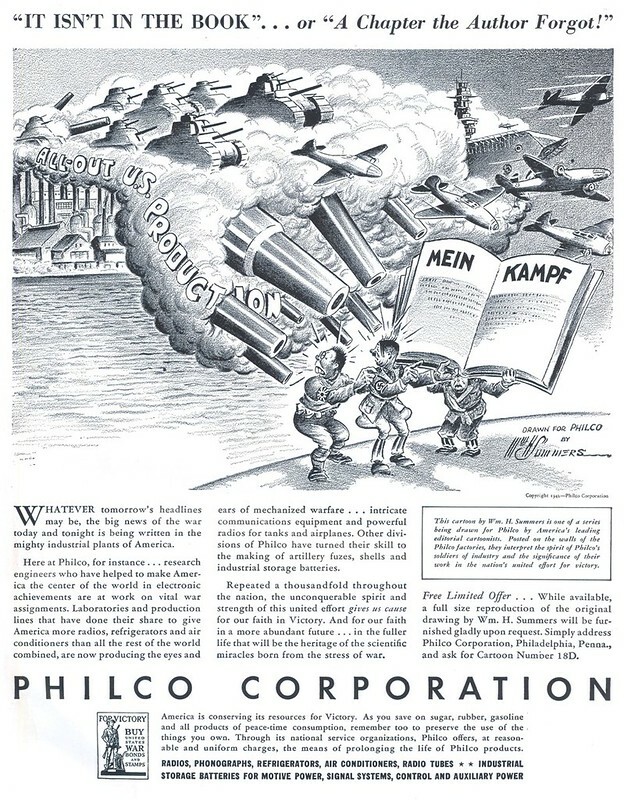 I will certainly keep an extra eye out for it as this my favorite of the series of ads for which Philco commissioned many different artists during World War II. One Every Minute is Not Enough!